PALMER -- Animals across Southcentral Alaska spooked and fled at the clamor and violent shaking of the magnitude 7.0 earthquake Nov. 30. Frightened pets ran off. Some remain missing. 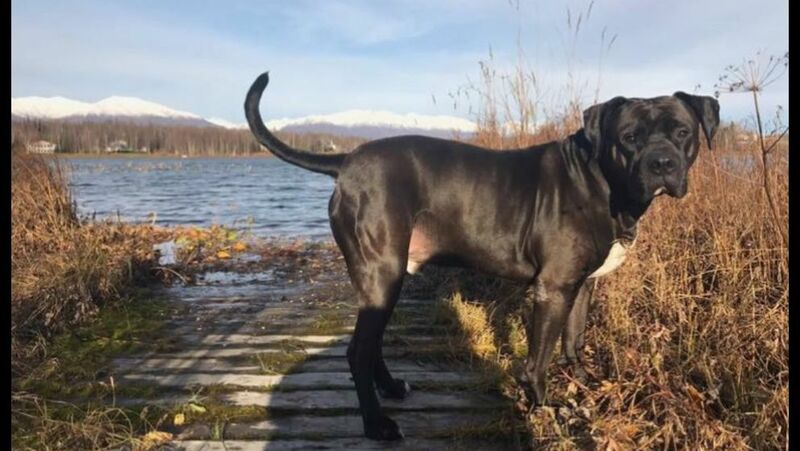 Wasilla residents Sean and Rosemary Tower still haven’t found Zeus, their 9-year-old, 113-pound “big baby” of a black pit bull who fled through an open door as the Towers tried to make sure the family was safe during the quake. Zeus, a 9-year-old pit bull owned by Wasilla residents Sean and Rosemary Tower, disappeared after the magnitude 7.0 earthquake on Nov. 30. Sean Tower followed the dog’s trail to nearby Cottonwood Lake and a road. He put up posters and notices on Facebook. The couple makes regular checks with the Mat-Su animal shelter. They worry shifting lake ice swallowed the big dog up. Tower said he hopes somebody found Zeus and just hasn’t reported it. The family is offering a reward. “I’m hoping he’s safe,” he said Thursday. A number of other quake-spooked dogs remain missing, according to social media posts. Rescuers say more cats than dogs haven’t turned up. They also say not to lose hope: It can take months for cats to come home. The quake’s epicenter was on Point MacKenzie, north across Knik Arm from Joint Base Elmendorf-Richardson. It started just before 8:30 a.m. Nov. 30 and left a trail of damaged schools, buildings and roads that could take months to repair. 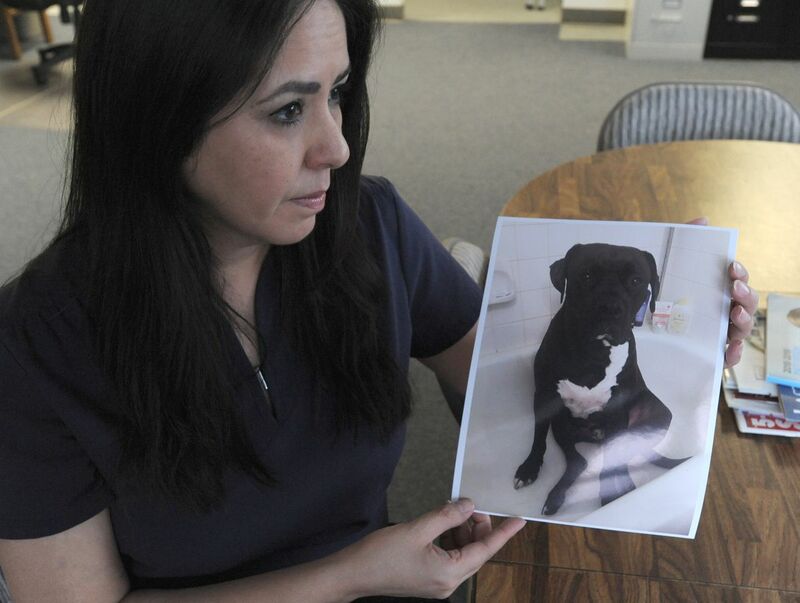 Normally, the pet-scaring racket of New Year’s Eve and the Fourth of July are the worst days for reports of missing pets, says Anchorage volunteer pet recovery specialist Cynthia White. She helps administer several Facebook lost-and-found pet groups, with the help of a friend. Many dog owners found their quake-scattered canines in the hours and days after, rescuers say. Some cats are turning up in the strangest places: cabinets, behind the fridge, under furniture. Someone who lost their huge cat at a Spenard hotel before the quake actually found it in the days after: The animal had somehow remained hidden in the room and turned up between the wall and the bed. Thousands of smaller aftershocks continue to rattle humans and spook dogs and cats: nearly 3,000 by Thursday afternoon. Amy Dalton’s border collie mix Freya darted out an open door not long after the quake. Dalton got her back the same day: Somebody spotted her four or five miles from the house. But a magnitude 4.8 aftershock Thursday afternoon set Freya right back on edge, Dalton said. “It jarred her from her sleep,” she said. “She just started trembling. She was back on that eyes-open, ears-perked, knowing that was what she felt last time this very scary event took place." The seemingly endless, unpredictable shaking is also keeping missing pets from emerging, especially cats. White notes that sometimes missing cats don’t turn up for months under non-disaster circumstances. Sometimes they’re even still in the house, wedged in sofa cushions or hiding in the closet. She advises owners to be consistent and stick with strategies like putting small amounts of food at feeding stations; using live traps; establishing scent stations near the house with clothes that smell like the owner or pungent food items like liquid smoke smeared on a branch; making use of social media; reporting to animal control; and distributing posters. Anchorage Animal Care and Control has a “Lost Pets” link with search tips. An overjoyed Joe Hemphill reunited Thursday with little Mac, his 3-year-old long-haired Shih Tzu-Chihuahua mix. The two spent the day of the quake together, Hemphill said. He took Mac to work at Covenant House. Then he took the dog home to his condo at 13th Avenue and A Street and put him in a bedroom. He closed the door and left to meet friends. 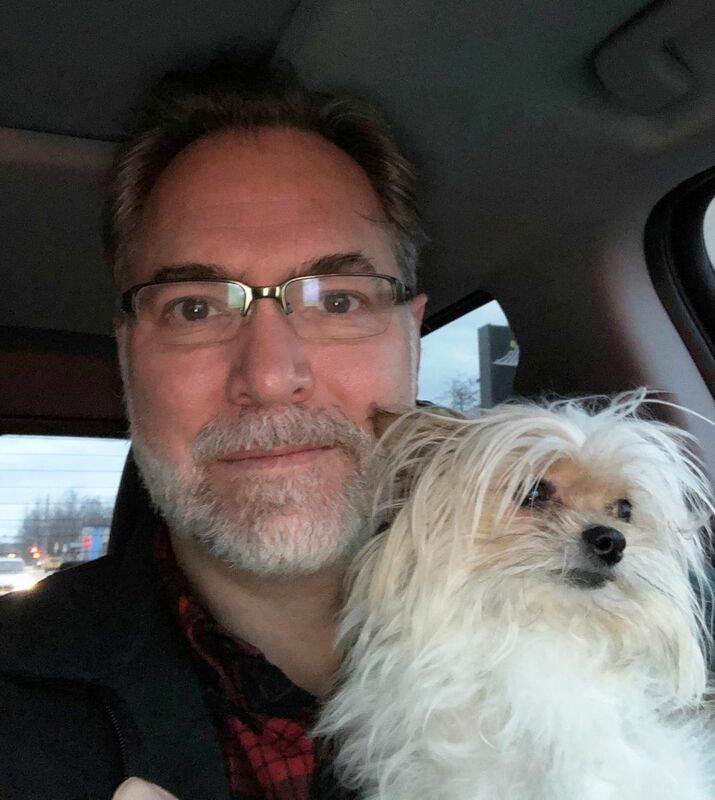 Joe Hemphill and his Shih Tzu-Chihuahua mix, Mac, were reunited Thursday, six days after the magnitude 7.0 earthquake that sent the dog running into the streets. An aftershock hit after Hemphill left. When he returned home, the bedroom door was open. The patio door was open. Mac was gone. Hemphill filed a lost-dog report. He posted photos on Facebook. Speedy Mail printing company owner Linda O’Brien made up missing posters. Five days passed. Thursday morning, he got a message: A woman at Third Avenue and Cordova Street had Mac. Her brother had found him. She didn’t want to bring him to the animal shelter in case he fell into the wrong hands. The little dog was capturing her heart. Then the woman’s sister saw Mac’s photos on social media and called her late Wednesday night: The little dog already had a loving home. Hemphill said he spent an hour with the woman when he picked up his dog. “We made a commitment to adopt her as Mac’s grandma and take him to spend time with her at least once a week,” he said. When the quake struck, some animals couldn’t flee even if they wanted to. Zookeepers, wildlife center workers and animal-control employees got to see firsthand how their confined charges reacted. Laura Atwood could see a cat inside its kennel the morning of the earthquake. The Anchorage animal care spokeswoman watched as the terrified feline responded to the seismic jolts. Shelter staffers found no injured animals or damage, she said. Kennel technicians left the freaked-out cats alone for a while. Well, the birds were stress-eating. “Our birds ate like crazy,” Groth said. A rescued beaver stopped eating altogether for a few days. But the camels and alpacas just kept chewing hay throughout the quake. The zoo’s female snow leopard, Malala, bolted from her enclosure as soon as she ate, as if she blamed it for the shaking. The moose at the Alaska Wildlife Conservation Center in Portage did the same thing. The wolves and coyotes held a big howling session. Wood bison grouped up and stayed close. The reindeer ran around. Adolescent black bear Kobuk seemed “totally unimpressed,” Baker wrote. But the musk oxen apparently figured they’d fend off the quake: “Musk ox assumed their protective stance by standing in a circle and looking outward."